I use these towels in the kitchen for a variety of cleanup jobs. They're especially useful when cleaning dishes to keep water spots from forming on the counter/sink. The variety of colors adds a personal touch and the soft fabric is light to the touch even after multiple runs through the washer/dryer. I received this product at a discount in exchange for my unbiased review. Home territory searches the web to find the best prices and availability on Dish Towels and related products foir your home like Mainstays 12 Pack Terry Kitchen Towel Set in Solid and Stripes. For this page, related items include products we find that match the following keywords: "Dish Towel|Kitchen Towel" at our vendor partner Walmart - Click More Info / Buy Now to check for price rollbacks!. 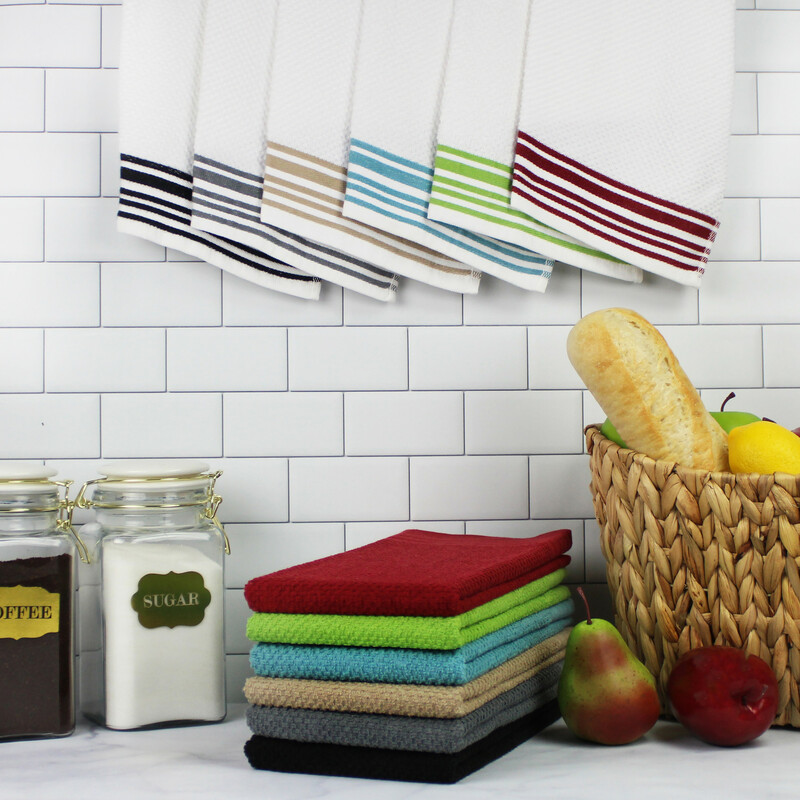 Mainstays 12 Pack Terry Kitchen Towel Set in Solid and Stripes is one of 95 Dish Towels and related products available for sale through HomeTerritory.com, If you have any questions on this product, please give us a call at 734-971-1210 during the hours of 9am - 5pm EST for assistance. Thank you for shopping at Home Territory, the home furnishings superstore!